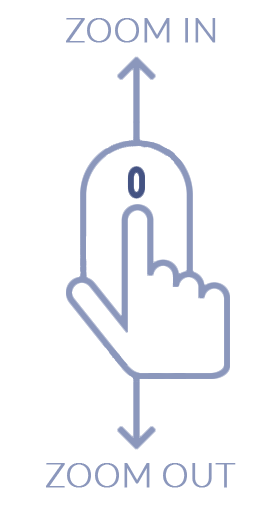 Total Carat Weight: 1.10 ct. 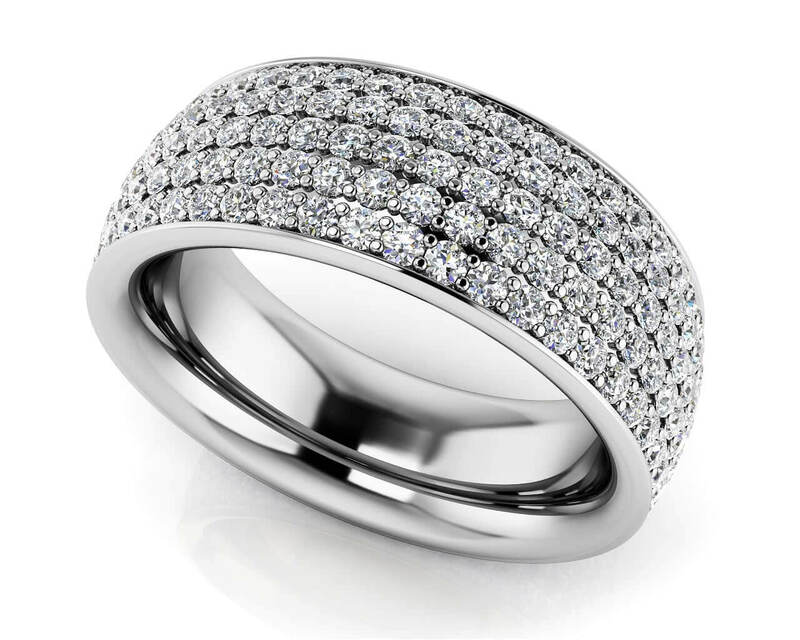 This eternity ring makes a bold statement that will sparkle from every angle! 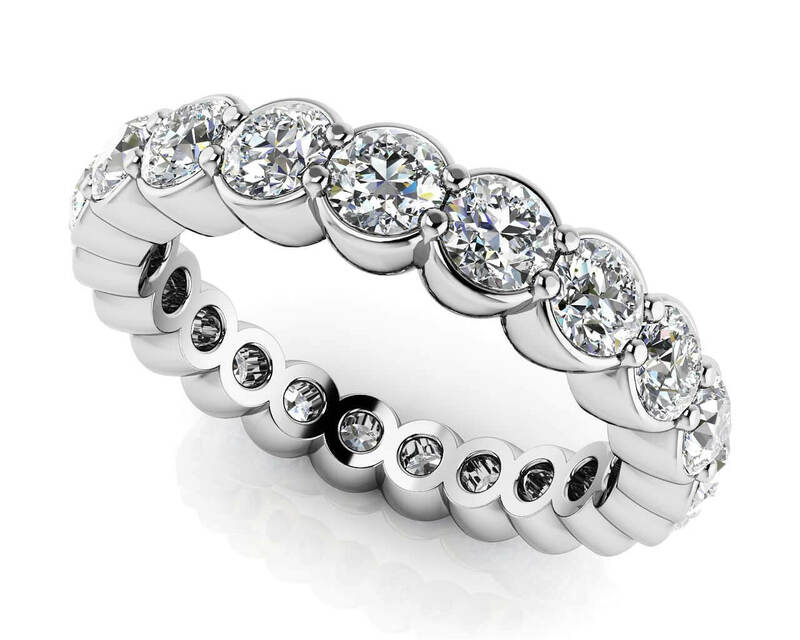 Made for the modern woman, this new take on the classic eternity ring is the perfect piece that will showcase her unique style. 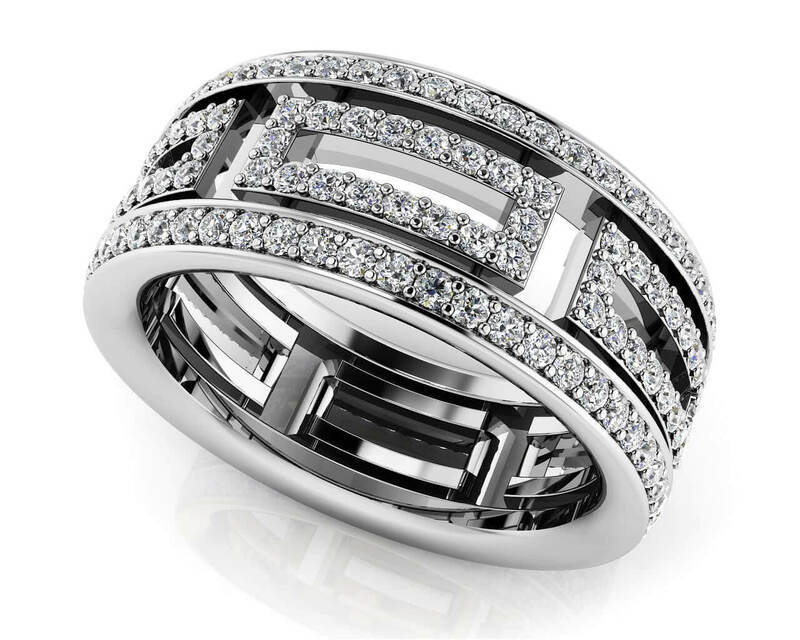 Customize the perfect ring with your choice of metal type, diamond quality, and ring size. Model Carat Weight: 1.10 ct. Effective Carat Weight: 1.10 ct.
Stone Carat Weight: 220X0.005 ct.